Deadline approaching! January 31 is next Thursday. Free books! I am giving away two books! Number 1 is a paperback copy of Cutting Edge: Tom Clancy's #1 Power Plays, created by Tom Clancy and Martin Greenberg and written by Jerome Preisler. Set in Africa, two entities try to control a fiber-optic cable. Black-market commodities, terrorists, and kidnapping are involved. Number 2 is a hard back copy with cover jacket of James Patterson's 5th Horseman. This was a number one "New York Times" bestseller. The Womens Murder Club, a fascinating hospital and courtroom thriller, is the 5th in the series (although you don't have to read 1-4 to enjoy the 5th book). 1) Approximately once a month, I'll pick a book to give away to one lucky reader (you don’t have to have a blog to enter). It may be a book that I've purchased new or used, or it may be a book that someone has shared with me that I really like. 2) Details on how you can enter to win will be listed below. 3) If you're the lucky winner of the book giveaway I ask that you, in turn, host a drawing to give away a book -- any book, it doesn't have to be the one you just won -- for free to one of your readers. If you mail books out using the media/book rate that the post office offers it's pretty inexpensive. If you don't have a blog, please donate the book to your local library or shelter once you've finished reading it. 4) If you're really motivated and want to host your own "Pay It Forward" giveaway at any time, feel free to grab the button above to use on your own blog. Just let Overwhelmed with Joy know so she can publish a post plugging your giveaway and directing readers your way! To enter, simply leave a comment letting me know which book you would like to win. 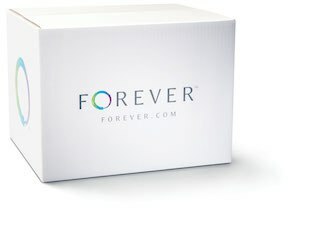 On January 15th, I will choose a winner via random number generator. Please make sure I have a way to contact you, too, if your e-mail isn't listed in your Blogger profile. And that's it! Good luck, have fun, and happy reading! I would love to be entered to win the first book. I already own the second one! Thanks! I'd sure like to read the Tom Clancy novel. It's been ages since I've read one. Thanks! I havent read either and would love to give them a shot. I have a pay it forward book also. I'd love to enter. Either book would be fun. Either works for me! Please enter me. Thanks for stopping by my blog and entering my book exchange. Have a great day! I would like to be entered for the James Patterson book. I'm also hosting a giveaway. Thank you for entering. Both sound very interesting. Mine is also posted. God Bless! Count me in, I love his writing, but haven't read these! I'm not going to ask to be entered in your drawing because I have a stack of books to read and catch up on, but I have linked you in my January Pay It Forward Book Exchange post. Thanks for participating by hosting your own giveaway. I do appreciate it! I’ve got you linked in my post. Check back on next Saturday morning when I’ll draw and announce the winners of my giveaway! Please enter me, both books sound great. Thanks! ok, this is a terrific idea! I am so glad I found this blog. I am interested in the James Patterson book if I am selected as the winner. Even if I am not, I am planning to "pay it forward" with one of my books this coming Monday. Clancy is awesome! 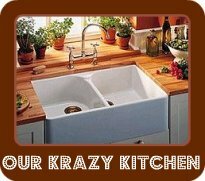 Hey.. thanks for hoppin' by my site! I'll be bloghopping with martini in hand tonight!! Thanks for visiting my blog. 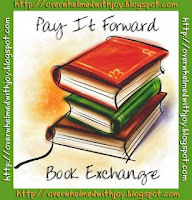 I would love to enter the pay it forward book give away. Doing it for hubby because he likes these authors, they are not really my speed. Recently, during our latest move I purged a bunch of fiction book we've already read to the local library. One was a Sherlock Holmes collection of stories we have had for over 10 years. They are my hubbys and they have been moved and untouched 4 times now. He reads books on his PDA mostly anyway. He finishe his last PDA book and came looking for Sherlock. Ooooooppps. I owe him.